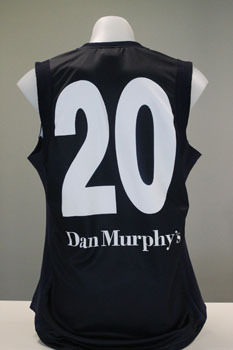 Carlton match day heritage guernsey worn by Corey McGrath in Carlton's 2005 AFL Heritage Round match against Collingwood at the MCG. 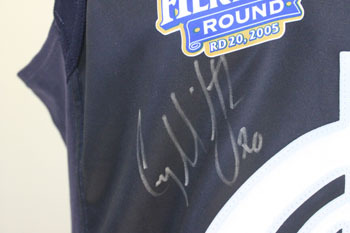 Corey McGrath has signed the guernsey on the front beneath the Heritage Round logo. Guernsey comes with a certificate of authenticity from the Carlton Football Club.